So What Is The REAL Costa Brava? I have been coming on holiday to the Costa Brava since I was 4 years old, but I only truly got to know and fall in love with this beautiful part of Spain over the last 20 years, after my mother moved here. Since then I have visited many times and last year my partner and I made our visit last a little longer...sort of permanent! When ever we were planning our next trip to Spain we would scour the internet looking for information on things to see and do, but could never find anything that really gave us what we were looking for...the real Costa Brava (the real place, written by real people, that really know it). So, we decided to create our own website for this very special place, with all the information we have gathered after years lying on its beaches, scuba diving in its sea, eating in its restaurants, walking its stunning countryside and getting caught up in the atmosphere of its many festivals. By sharing our experiences we hope to provide you with all the information you need to have a truly wonderful holiday. What does The Real Costa Brava Travel Guide cover?.. Real Costa Brava Can Come To You! We promise to use it only to send you Costa Brava Insight. Spain Beaches - Where Are The Best Beaches In Spain? Things To Do On The Costa Brava! Things to do on the Costa Brava…water parks, national parks, aquariums, museums, medieval villages, roman ruins, botanical gardens, Pyrenees. Well, you can't lie on the beach all the time!?! Catalonia...with traditions and festivals (festas) going back a thousand years. Come and get caught up in the magic of nation that likes to celebrate! Costa Brava Accommodations...white washed villas, rustic farmhouses, luxury hotels, beachside campsites, paradors...your guide to finding the perfect accommodation. Hotel Costa Brava Guide - Find your perfect Costa Brava hotel! Hotel Costa Brava - a complete list of hotels beach by beach - how much? how big? how near to the beach? what facilities? what do real people who have stayed there think? Camping Costa Brava Guide - Find your perfect Costa Brava Campsite! 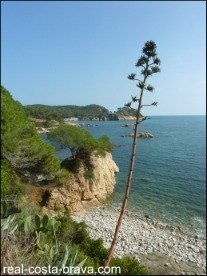 Camping Costa Brava - a complete list of campsites beach by beach - how much? how big? how near to the beach? what facilities? what do real people who have stayed there think? Girona - an ancient Gothic city with steep narrow cobbled streets, lying at the foot of the Pyrenees, and only 40 minutes drive to the stunning Costa Brava Coastline! Activities based Costa Brava holidays…water sports, cycling, golf, walking, light air craft, hot air ballooning. Whatever your favourite activity, you can do it all on the Costa Brava. Scuba Diving on the Costa Brava, Spain is brilliant! Really? You bet. The Costa Brava is one of the best scuba diving areas in the Mediterranean. Cycling has been massive on the Costa Brava ever since it was discovered by American professional cyclists, in particular Lance Armstrong (who made Girona his training base). Searching for great restaurants on the Costa Brava? Here are our favourites. Climate Costa Brava - find out the average air temperature, seawater temperature, rainfall and hours of sunshine on the Costa Brava, Spain - so you can plan your holiday. Weather temperature in Costa Brava right now...and 3 day forecast. 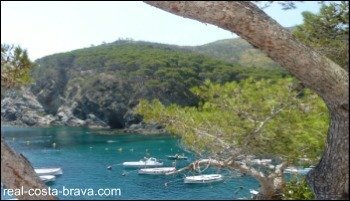 Great travel Costa Brava stories and tips, contributed by visitors from around the world - real experiences that will give you the best ever holiday to the Costa Brava! 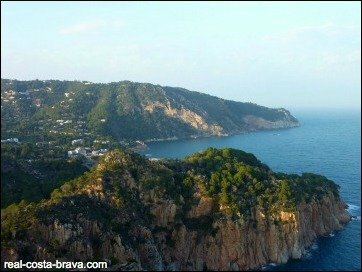 Our Costa Brava Blog keeps you up-to-date with all additions and changes to Real-Costa-Brava.Com Subscribe here. 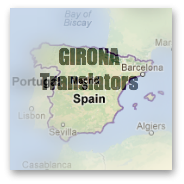 Costa Brava Wanted - Need a Service? Try To Sell Something?